Six UK companies have been funded a share of more than £460,000 to fast-track innovative technologies that aim to detect people carrying knives in crowded places such as streets, railway stations and major events. Distinguishing concealed blades from other items such as keys and coins is challenging for the police, particularly among large crowds. Now, with funding from the Home Office and the Department of Transport, the companies are exploring how solutions involving radar and electromagnetic and acoustic sensors could help detect steel-bladed knives. As part of the Serious Violence Strategy, the Defence Science and Technology Laboratory (Dstl) and the Defence and Security Accelerator (DASA) were tasked by the Home Office to find new ways of tackling concealed steel-bladed knives. Through a Home Office competition run by Dstl through DASA, which sought input from industry and academia, six proposals passed the rigorous testing process. Now, Security Screening Technologies Ltd, Iconal Technology Limited, Loughborough University, Xenint Ltd, Thales UK and Advanced Nano Tech and Scientific Ltd are each being funded a share of £463,665 by the Government for six months to deliver proof of concept. They will be asked to demonstrate their findings this summer. The focus is on technology that’s safe, easy to operate, unobtrusive and suitable for indoor and outdoor use. The work is being supported by the National Police Chiefs’ Council. 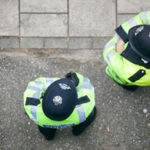 If the projects perform to the desired level, the Home Office will work closely with the police to assess how these products could be used on the front line. Home Secretary Sajid Javid is making it simpler for the police to use Section 60 of the Criminal Justice and Public Order Act. This empowers officers to stop and search anyone in a designated area without needing reasonable grounds for suspicion if serious violence is anticipated. 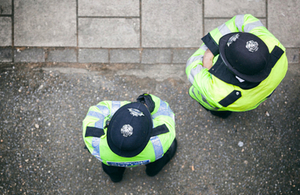 Last month, the Government announced £100 million additional funding to support those areas most affected by serious violence, boosting policing capacity and enabling the creation of new multi-agency violence reduction units. Alongside support for the police, the Home Office continues to focus on early intervention as a key to securing sustainable reductions in serious violence.